Meguiar's All Season Dressing Bottle, D20160 - 32 oz. This is a bottle only for Meguiar's All Season Dressing which is sold separately. This bottle is OSHA Compliant. Meguiar's All Purpose Cleaner Bottle, D20101 - 32 oz. Meguiar's Hyper Dressing Bottle, D20170 - 32 oz. Meguiar's Water-Based Dressing Bottle, D20171 - 32 oz. 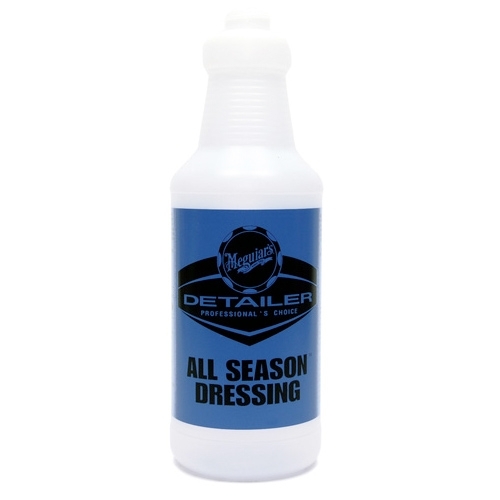 Meguiar's All Season Dressing, D16001 - 1 gal.